Erika Bierman is an actress known for her television role in The Hunger Games (President Snow’s Granddaughter) and more. Wendy Shepherd of Studio Matrix has provided Erika with online publicity, consulting, social media and internet management since about the year 2015. It is fitting that Erika was born in historic Savannah, Georgia which has been the site of several famous films. She expressed her desire to be an actress at the mere age of eight, when she begged her parents to let her compete in an acting/modeling competition in Orlando, Florida. She wrote her own monologue for the competition and got noticed by numerous reputable agents and managers. 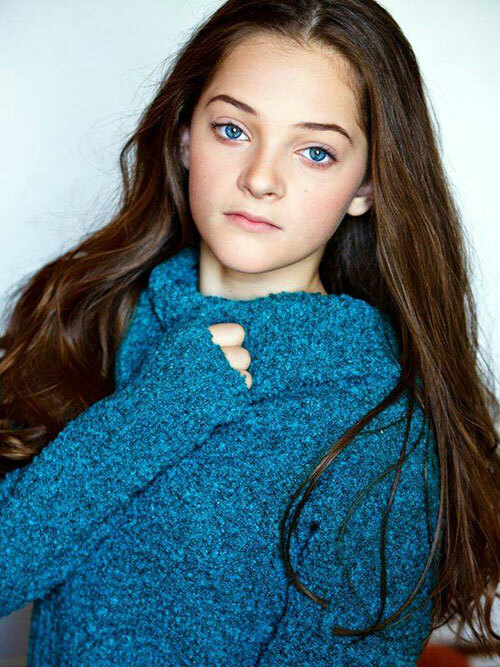 Her first big break came when she was cast as President Snow’s Granddaughter in The Hunger Games: Catching Fire. She was thrilled to work alongside Donald Sutherland in both CATCHING FIRE and MOCKINGJAY I. Later, she appeared in DUMB AND DUMBER TO, and worked with Jeff Daniels. In August, 2015, she played “Rose” on the Peabody Award winning Sundance show Rectify. Erika has voiced several commercials, including four for Little Caesars Hot-N-Ready Pizza commercials that aired on radio and television. When Erika is not acting she enjoys gymnastics, dance, singing, writing and dressing up her teacup chihuahuas in various homemade costumes for our amusement.